Are your fuel islands driving away customers? If your fuel islands have crumbling and cracked concrete or rusted metal bands sticking out like a sore thumb, your fuel islands might actually be driving customers to another station. Concrete fuel island foundations really take a beating over time. Leaking gas and oil, rain, snow, salt, and temperature changes can all take a toll on them, plus cars and trucks running into them can damage the concrete even more severely. Add to that rusted metal bands and you have a real mess. 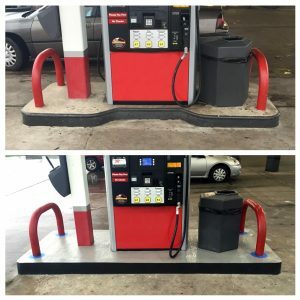 You can have them painted and they’ll look good at first, but that’s not a very cost-effective option given the fact that it’s pretty much just a temporary fix. 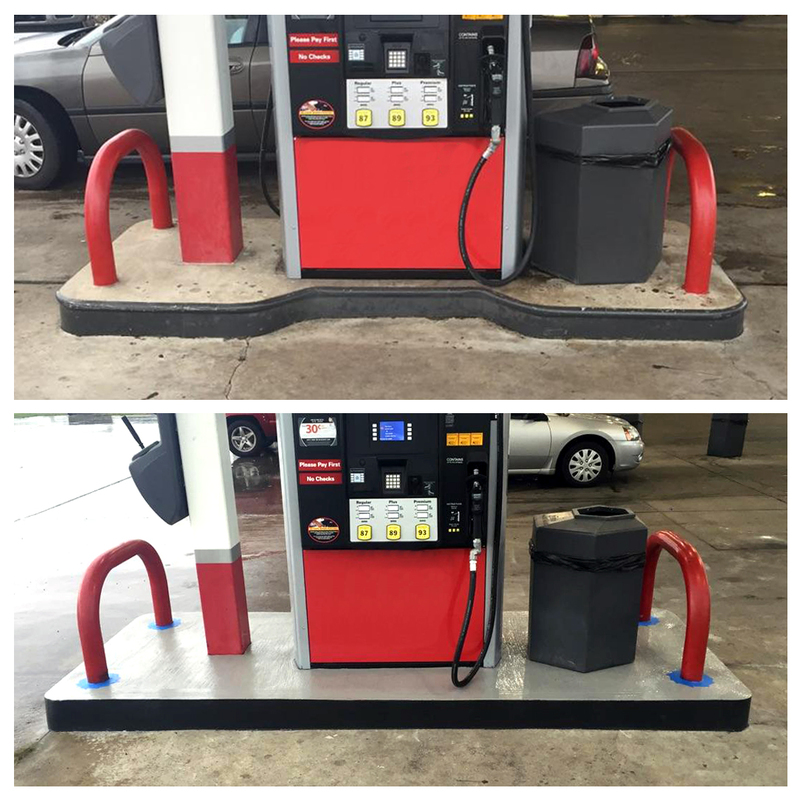 Epoxy mortar systems have proven to be a smart solution for deteriorated fuel pump islands. Why? It takes a positive first impression to attract customers and a positive experience to keep them coming back. To learn more about the advantages of using epoxy mortar systems to restore your fuel islands, click here.